So, you have decided that you want to find a pumpkin patch in Illinois. If that’s the case, then you’re in the right spot, friend! Bring your kids, bring your significant other, bring yourself, but come on down to Bengtson’s Pumpkin Fest! Bengtson’s is a pumpkin farm near Chicago (we’re located in Homer Glen which is a stone’s throw from Chicago) and we’ve been around for nearly four decades. Since we first opened our doors we’ve shared the joys of autumn and we’ve become everyone’s favorite fall tradition. 2018 is our best year yet. We’ve been open this year since September 21 and things are new and improved in all of the right ways. With nine unlimited rides every day, there’s plenty to love about a visit to our farm. As a matter of fact, Country Living recently named ours as one of the 28 best pumpkin farms across America, saying that it’s easy to “plan an action-packed afternoon outdoors.” Sounds like a recipe for the perfect fall day to us! Speaking of which, what does the perfect fall day look like to you? No matter what you’re searching for, you’ll find it at Bengtson Farms. In the mood for some award-winning barbecue? We have it. Fresh apple cider donuts? A petting zoo? Kiddie rides? We have those too. In short, no matter what your favorite fall activities are you can tailor the perfect day to suit whatever reminds you most of autumn. It’s the perfect time of year to break out the flannel shirts and the heavy blue jeans and have a bit of fun. Be sure to check out video clips of our farm to get an idea of what you can expect. We are also really proud to feature some of our favorite customer photos that show our farm from a unique perspective. We absolutely love seeing what people capture pictures of during their visits and the creativity is always inspiring. Anyway, the galleries above will give you a small taste of what to expect, so be sure to take a look around our website to plan your trip! We pride ourselves on offering what we consider to be the best pumpkin patch in Illinois and we think that it’s the perfect place for everything from group outings to date nights to fun afternoons with the kids. One thing to note is that the last day we’re open this year is Tuesday, October 30th. That means that there’s still plenty of time to plan your visit (be sure to check out our hours and admission rates), but you have to do it now to make sure that you get a chance to check out all of our pumpkin farm attractions before we close up for the year. Sometimes it’s best to hear about a place from the people who have visited rather than those who run it. Not to worry, because here are a few choice reviews that we’ve gotten recently. Head on over to our Facebook page to check out more reviews as well as keep up to date with what we’re doing. We love holding giveaways and sharing new attractions, so give us a like! 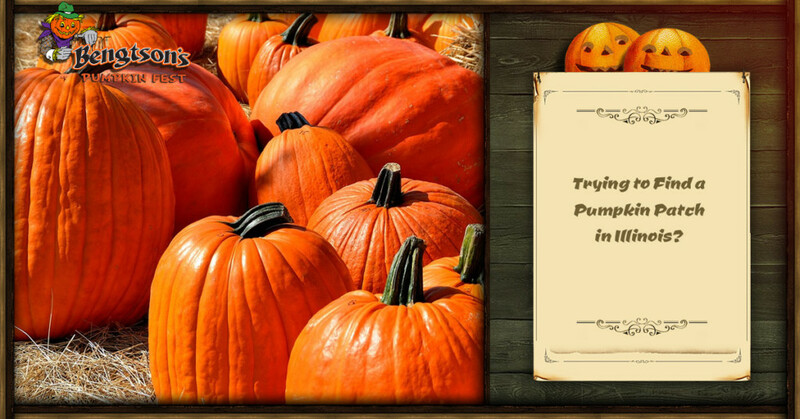 If you’re ready to enjoy our Homer Glen pumpkin patch, there’s never been a better time. Now that fall is in full swing you’re sure to have a blast during your visit. From delicious eats and treats to pig races to the corn box and everything in between, there’s no shortage of fun to be had here. Plan your visit today. We look forward to seeing you!